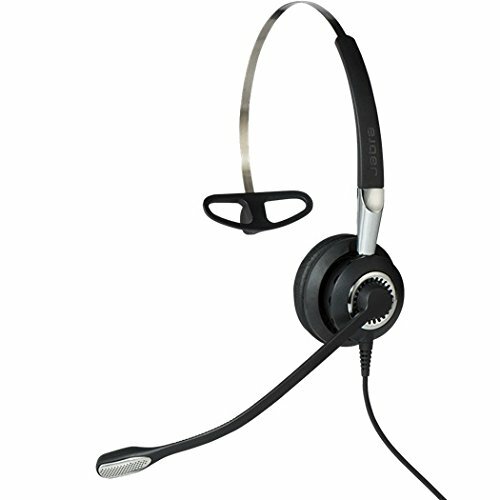 The most important function of a contact center headset is eliminating background noise from the busy environment and letting the customer hear your voice clearly.The ultra-noise-cancelling microphone provides the highest degree of background noise elimination in any of our headsets. If you're in a busy environment, you need great sound to hear the voice of your customer. Additionally, when you're concentrating on work, you want that HIFI sound for music. The Jabra Biz 2400 II is great at both. HD voice technology makes sure you clearly understand the other party The speakers reduce ambient noise, so you can focus on the call Specially designed "air shock" noise-cancelling mic filters out sharp breathing sounds and popping noises often heard in conversations. Jabra Biz 2400 II is built to last in a high-performing contact center, meaning fewer headset replacements and less downtime for you and your team and lower total cost of ownership. Reinforced cord is built to withstand the contact center environment and is protected against office chair wheels, sharp objects and daily use Boom arm can be rotated 360 degrees with zero risk of breaking. We call this FreeSpinTM. Multi-device connectivity allows you to purchase a variety of different cords that let you connect to your smartphone or deskphone. PeakStop instantly removes any harmful loud sounds before they even reach your ears. This keeps the sound level in the safe range and protects your hearing. Reinforced cords are built to last. They¡¯re extremely durable and will take most daily punishment. With Freespin you can rotate the boom arm 360 degrees without the risk of breaking. Find the microphone placement that works for you.